All you Downton Abbey fans are familiar with the habit of married ladies languishing in their boudoirs while gentlemen fetch their own breakfasts in the drawing room (wow, what a great idea!). The fact that one has the time and means (and someone to serve them) to partake of an indulgent breakfast in bed has come to symbolize the epitome of luxury. 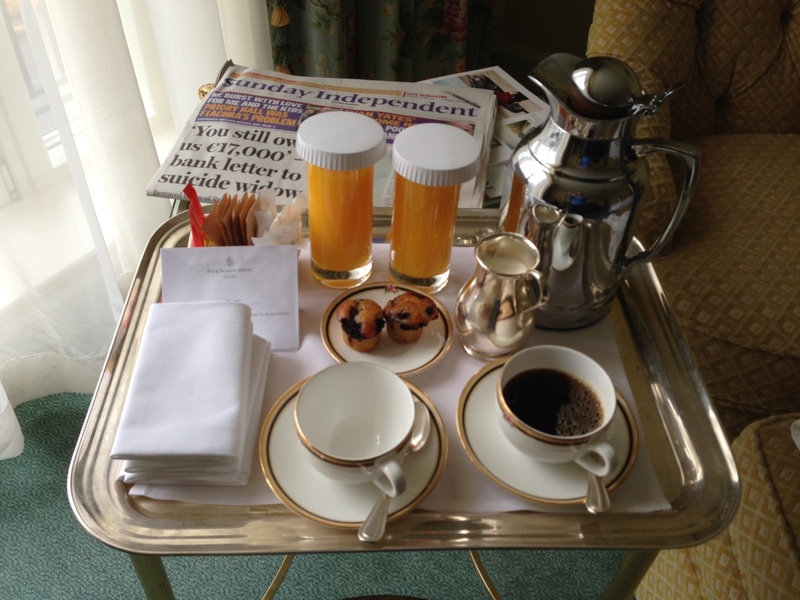 Today, I thought I’d share with you some other Breakfasts in Bed of which you may not be aware. 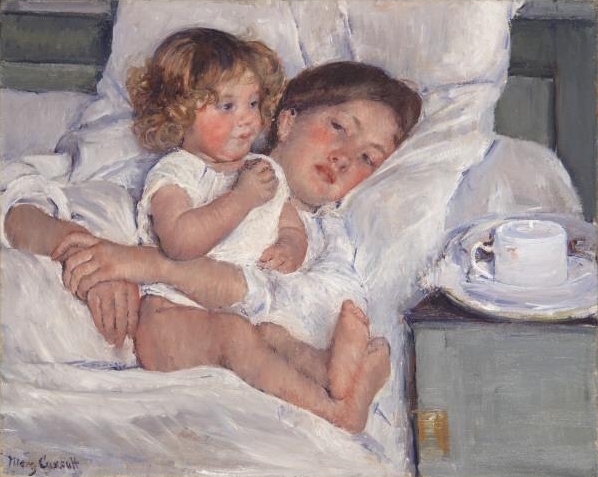 First up, Mary Cassatt’s endearing painting of a quiet morning shared between mother and daughter. Women and children were prominent figures in the work of Cassatt, an American Impressionist who studied in Pennsylvania before settling in Paris. This lovely painting was created in 1897 and currently hangs in the Huntington Library in California. Curators there have this to say about the painting: “With the child centrally located in an upright pose, Cassatt depicts a quiet but charged moment in which a mother embraces her daughter, whose attention is elsewhere. Contrasting the mother’s protective action and gaze with her offspring’s curiosity and the world beyond her reach, Cassatt evokes the subtle tensions implicit in the relationship of parent to child”. 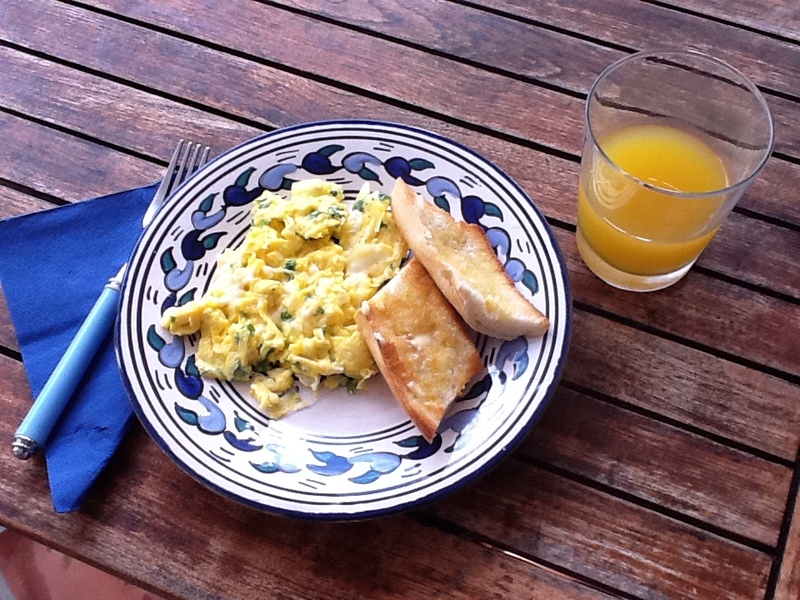 You can read more about Cassatt’s Breakfast in Bed on the Huntington Library site. Many other performers reproduced Breakfast in Bed, including three reggae versions performed by Lorna Bennett, Scotty, and Bongo Herman. BREAKFAST DOWNSTAIRS OR UP: Breakfast customs are as varied in this country as the topography of the land! 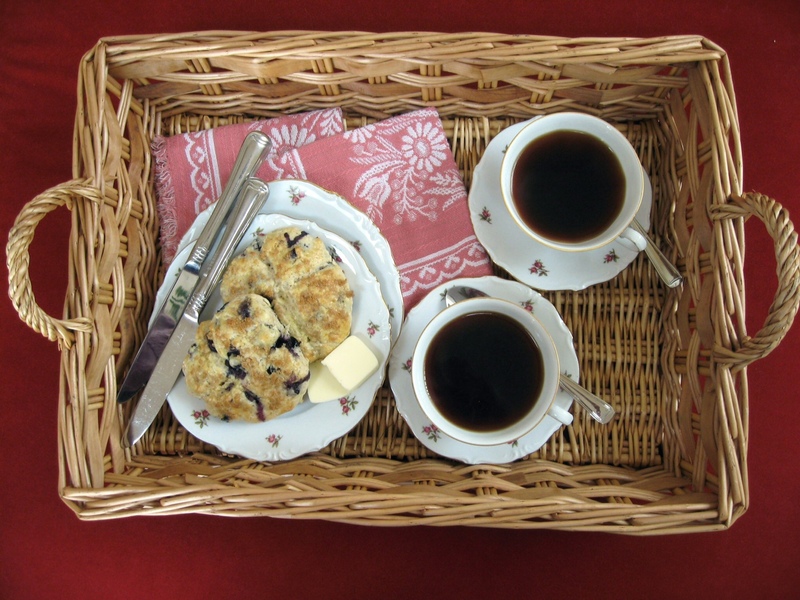 Communities of people who have lived or traveled much abroad, have nearly all adopted the Continental breakfast habit of a tray in their room, especially on Sunday mornings. In other communities it is the custom to go down to the dining-room for a heavy American (or English) meal. PREPARING BREAKFAST TRAY: The advantage of having one’s guests choose breakfast upstairs is that unless there is a separate breakfast room, a long delayed breakfast prevents the dining-room from being put in order or the lunch table set. Trays, on the other hand, stand “all set” in the pantry and interfere much less with the dining-room work. The trays are either of the plain white pantry variety or regular breakfast ones with folding legs. On each is put a tray cloth. It may be plain linen hemstitched or scalloped, or it may be much embroidered and have mosaic or filet lace. Every bedroom has a set of breakfast china to match it. But it is far better to send a complete set of blue china to a rose-colored room than a rose set that has pieces missing. Nothing looks worse than odd crockery. It is like unmatched paper and envelopes, or odd shoes, or a woman’s skirt and waist that do not meet in the back. There is nothing unusual in a tray set, every china and department store carries them, but only in “open” stock patterns can one buy extra dishes or replace broken ones; a fact it is well to remember. There is a tall coffee pot, hot milk pitcher, a cream pitcher and sugar bowl, a cup and saucer, two plates, an egg cup and a covered dish. A cereal is usually put in the covered dish, toast in a napkin on a plate, or eggs and bacon in place of cereal. This with fruit is the most elaborate “tray” breakfast ever provided. 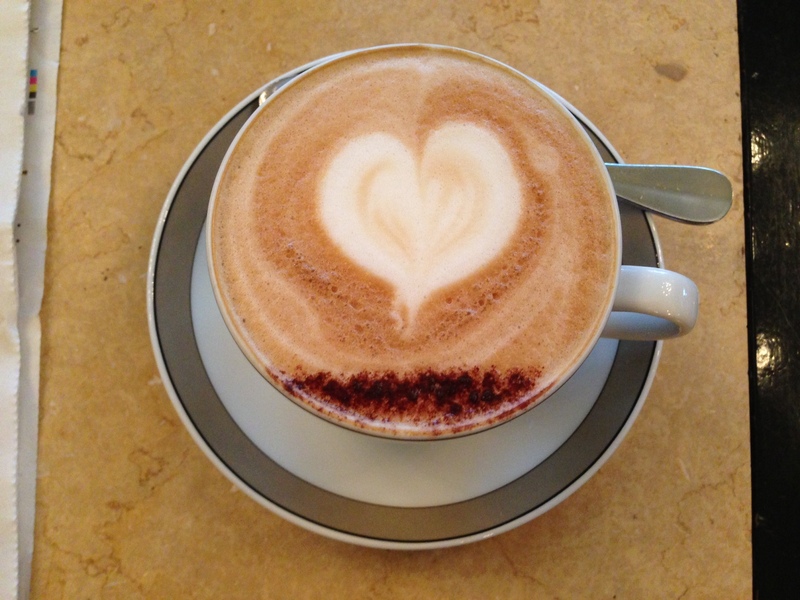 Most people who breakfast “in bed” take only coffee or tea, an egg, toast and possibly fruit. Well, I’ll be sure to check that the Downton Abbey staff keeps their crockery in order. And you should be sure to luxuriate in your own form of breakfast in bed, whether culinary, musical, or lyrical, whenever possible. 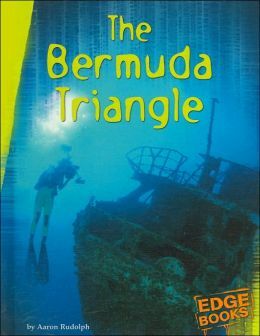 The Bermuda Triangle by Aaron M. Rudolph. My son has become an early embracer of conspiracy theories and other mysteries of the unknown. Channel surfing a few weeks back, we came across a documentary about the Bermuda Triangle. It is indeed an enticing sort of mystery: ships and planes and people seeming to vanish into thin air. Reports of crazy wormhole-like activity! So I headed to the 001 section of the children’s nonfiction at the local library. For those unfamiliar with the Dewey Decimal Classification, 001 is where you will find all the books about aliens, cryptids, and mysteries like the Bermuda Triangle. For the record, I grabbed a UFO Files book and a Loch Ness Monster book as well. Filled with color pictures, simple text, and a nice mix of fact and speculation, this book is a big hit. I for one never realized how difficult it would be for my son to say “BERMUDA”. It just doesn’t roll off the tongue! But this book has opened him up to the concept of ghost ships, and Atlantic geography, and all the wonderful Mysteries of the Unknown. I must admit I’ve always been a sucker for this kind of stuff and I’m more than delighted that he takes such an interest in it too! Next up: government cover-ups of alien encounters? Sasquatches? The world of pseudoscience is all at our fingertips! 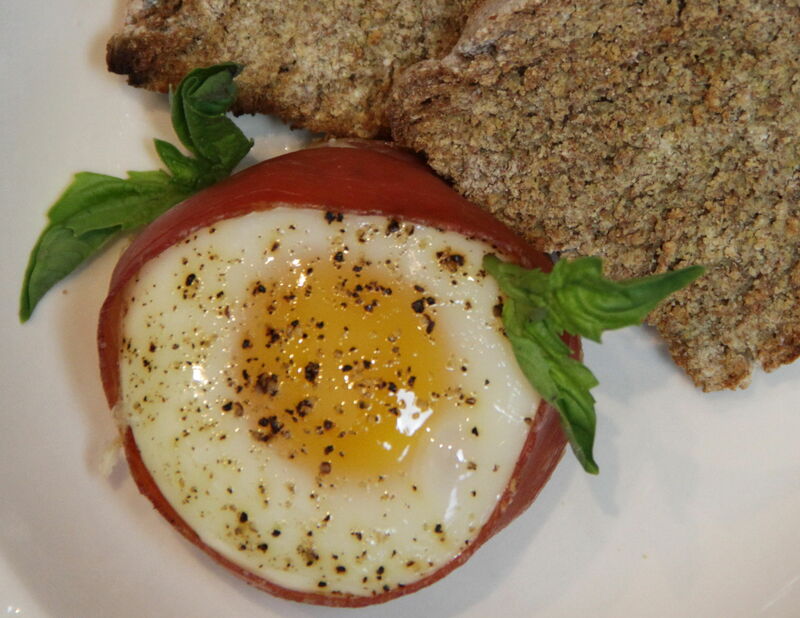 Here’s a great idea from my friend and Pilates instructor Michele – crispy baked prosciutto slices wrapped around warm, gooey baked eggs. A little tweaking to this simple preparation produces lots of varieties. You can add a little parmesan cheese, or float some sautéed onions or mushrooms on top. Eggs can be beaten first and mixed with herbs and vegetables, similar to the Baked Breakfast Egg Cups (http://www.charlesprogers.com/blogs/archives/4411) I’ve shared with you in the past. But I like Michele’s version for its ease and simplicity. The salty Italian cured ham minimizes spicing needs so a touch of freshly ground black pepper before baking finishes nicely. 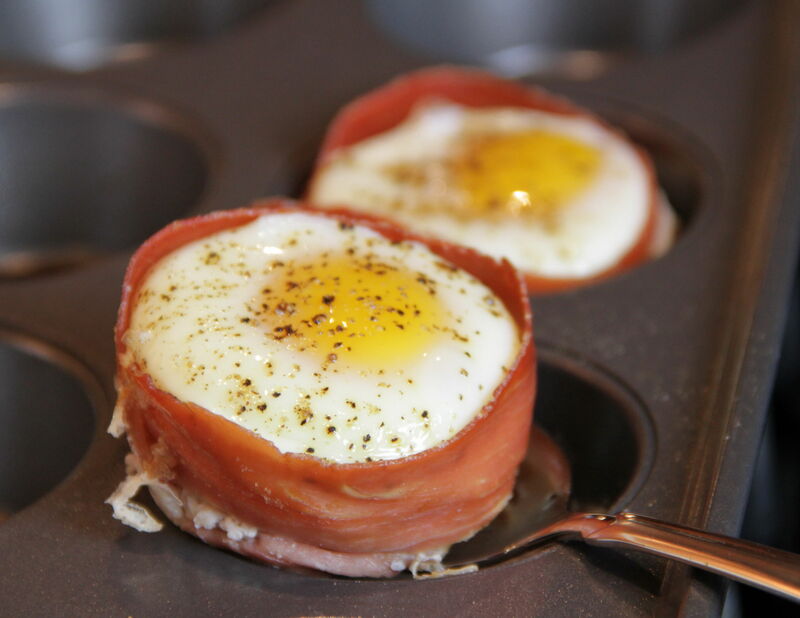 The Prosciutto Egg Cups make a neat and elegant dish for entertaining. Put them on your brunch table, along with an assortment of toast, fresh fruit, hash browns and mimosas, and you’ll have trouble getting rid of you friends and family on lazy Sunday afternoons. Or, keep them for yourself, served with a plain, crusted bread like Irish Wheaten Bread (https://www.charlesprogers.com/blogs/archives/7766) for an easy, simple (and delicious) breakfast in bed. Preheat oven to 350°. 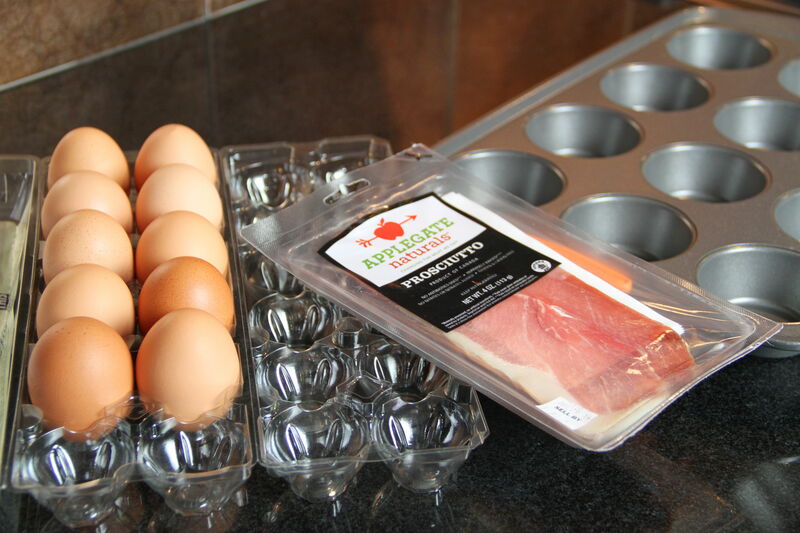 Lightly spray a muffin tin with cooking spray (for as many prosciutto eggs as you plan to make). Arrange a piece of prosciutto in each muffin cup, wrapping around the sides and covering the bottom to form a closed bowl. 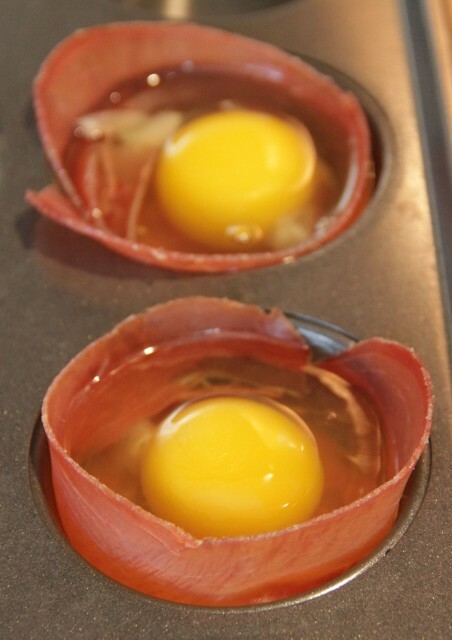 Crack eggs one at a time into a small bowl (to make sure yolks are intact), then pour into prosciutto-lined muffin cups. Grind some fresh black peppercorns onto the top of the raw egg. Place in oven and bake for around 15 minutes for a cooked egg white and soft yolk. Cool slightly before removing from tin. Carefully scoop out eggs with a large spoon. Serve with crusty, whole grain bread, if you like. 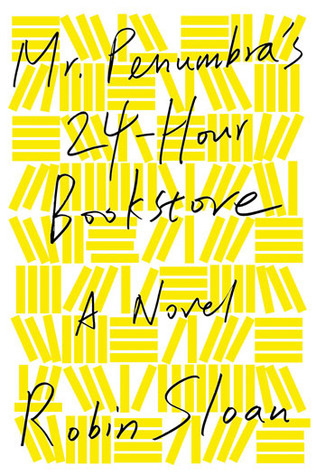 Mr. Penumbra’s 24-Hour Bookstore by Robin Sloane. I’ve been reading a disproportionate number of grown-up books these day. That’s not a bad thing; I’m just so accustomed to picture books and young adult literature! I’d been told of this book a couple years ago, but I’m pretty slow on the draw. I’d say this book is worth a read. Clay Jannon was a silicon valley graphic designer who was among the many victims of the Great Recession. After a lengthy unemployment, he happens across a San Francisco bookstore that is hiring for the night shift. It is immediately apparent that Penumbra’s 24-Hour Bookstore is not your typical bookstore. For one thing, most of the selection is a series of mysterious books which Jannon is forbidden to even look at. They take up a huge, 3-story shelf. The customers who request these books are eccentric, often disheveled, and frantic for the next edition. Jannon is required to record every detail of his encounters in the old leather-bound log books. When coaxed by a friend, he takes a look at one of the books and discovers it’s an entire volume written in code. As his curiosity deepens, he begins to unravel the mysteries surrounding this strange bookstore and its mysterious owner. It’s a very interesting read, though the dialogues about technology versus old knowledge are a little overdone; one would almost think that Google paid a sum to have their products featured so prominently. Also, despite being somewhat ordinary in his skill set, the narrator has only incredible people in his life: the Google programmer; the skilled sculptor who works at ILM; the millionaire digital rendering master. It’s all just a little too convenient. The other half of the story, however, addresses the life of Aldus Manutius, an influential 16th-century printer and publisher, whose legacy surrounds the mysteries of the bookstore. That bit was a lot of fun. Overall it’s an intriguing story about old and new and an inquiry into if and how modern technology and the much-loved print medium might coexist. Also: the cover glows in the dark! You can’t discover THAT in a digital format! Oh, those heist movies. I just love them. The best part about being bed-ridden with sick is the excuse to fire up a bunch of movies in the middle of a Wednesday. As a dad who hardly ever stays up past 10:30, I watch very few movies. So imagine my delight and overwhelmedness when I was well enough to know what was going on, but not enough to move. I started with a good one. 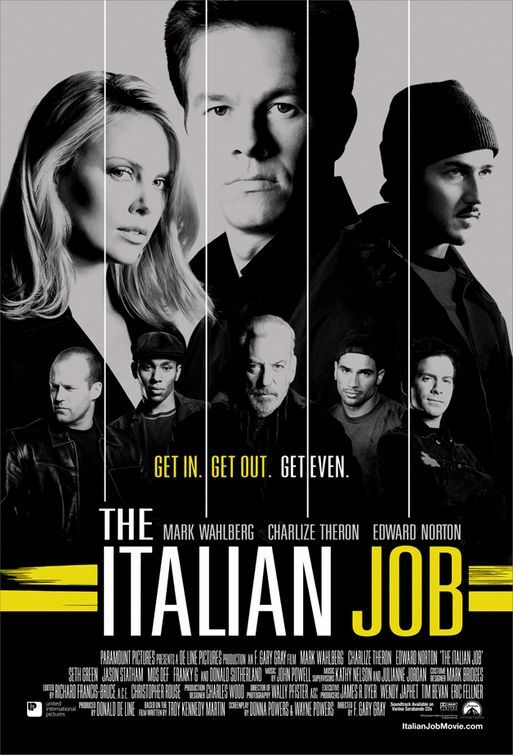 “The Italian Job” is one of those heist movies where the thieves, for some reason, are the good guys. I guess they’re stealing from mobsters or something? Well, they are of course very good at what they do and this, the Italian Job, is to be Donald Sutherland’s one last gig before retiring. Which means, of course, it’s going to go wrong. Betrayed by one of their own, Donald is killed and the others left for dead. Fast forward a few years. The others lived! And they’re quite upset and plan to recover their ill-gotten goods from the badder bad guy. Full of all the stuff that makes these movies fun: awesome hacker guy, safe cracker, explosives expert, incredible driving skills, and lots of really careful timing and execution, this is a great movie for watching in a fevered stupor. You know what? It would be pretty fun to watch with full capacity of the senses too.